Spending in Connecticut has increased threefold within the space of four governors: present Governor Dannel Malloy, a progressive Democrat, two Republican Governors, Jodi Rell and John Rowland, who, it will be recalled, pledged during his first run for governor to axe the tax – Rowland had second thoughts once he had been elected – and Lowell “instituting an income tax during a recession would be like pouring gas on a fire” Weicker, a nominal Republican who was in fact more Democrat than the Democrat pope of Connecticut at the time, movie mogul Chris Dodd. Stefanowski's idea is this: Taxing and spending are causally connected. If you increase taxes, spending increases will follow. In fact, that has been the rule in Connecticut’s economy ever since Weicker in 1991 poured gas on the fire. The Weicker tax saved state legislators the necessity of reducing spending, and the gals and guys in the state legislature – dominated for the last 30 years by progressive “we need more” Democrats – are very grateful indeed. The good times now are gone. Businesses in the state have fled a government that cannot reverse its perilous race towards the yawning abyss; companies in Connecticut are looking towards a barren future under unappeasable tax-starved progressives, which further will reduce company profits – the surplus money that makes it possible for businesses to expand, hire more workers, increase wages and contribute a “fair share” in taxes to Connecticut’s dwindling state coffers. As a consequence of runaway spending, Connecticut’s economic growth is now the laughing stock of the nation. 1) How will Lamont curb spending, permanently and long term, in Connecticut? We have passed the point at which the state’s economy will respond positively to revocable tax credits, or to bribes given to homegrown companies to remain in the state, or to seed money given to outside companies to put down shallow roots in the state’s parched ground. A voting public that has come of age in the age of pointless political effusions made by politicians trolling for votes has, one hopes, developed an internal resistance to political posturing. 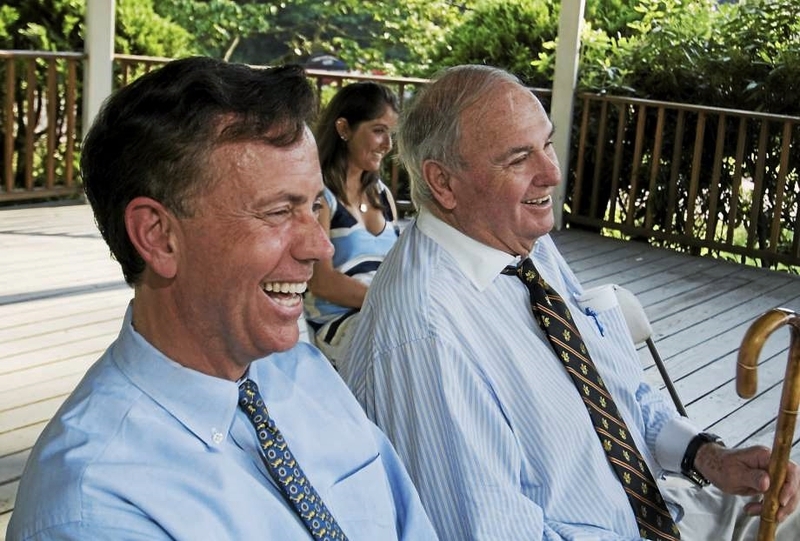 Since spending is driven by ever increasing taxation – which is, in a nutshell, the whole history of Connecticut since 1991 – would Lamont favor legislation requiring a super-majority in the General Assembly to increase taxes? No effusions please. A “yes” or “no” will be sufficient. 2) Lamont has winkingly proposed a toll tax on heavy trucks in Connecticut to provide money for the transportation fund, which – big surprise – is out of cash – big surprise -- because a Democrat controlled General Assembly has raided dedicated funds across the state to satiate its largely political need to provide salaries and benefits to state workers in return for votes. Border toll installations, as Lamont well knows, cannot be re-erected without costing the state more money in penalties than his tolls on trucks would bring in. Therefore, any tolling in Connecticut must be congesting tolling, which means mucho tolling gantries throughout the state. Assuming the tolling infrastructure has been assembled, how long does Lamont think it would take before tolling is applied to grandma in her 1991 Chevy? One month? Two months? 3) Isn’t the precipitating cause of increased taxation in Connecticut the unhinged appetite among non-Stefanowski progressive legislators to move entrepreneurial capital from the private to the public sphere, the better to satisfy the insatiable appetite of state unions for salary and benefit increases? How will Lamont curb this appetite? Remember, largely owing to the pro-union efforts of Malloy in SEBAC agreements, salary increases are “fixed” until 2027, and Governor Lamont will not be able to use threatened layoffs as a bargaining chip in his negotiations with state unionized workers. Connecticut is one of the few states in the union that sets state worker salaries and benefits through negotiations between its governor and union honchos. Should the legislature present Lamont with a bill that sets salaries and benefits through legislation instead, will he sign it? 4) Over a period of three decades and more, “fixed costs” in the state – those costs over which the General Assembly has unconstitutionally abandoned all control – have steadily increased; so that, presently, the General Assembly has effective governance over only half of its expenditures, according to a Yankee Institute study. How will Lamont increase this figure to, say, 100 percent? 5) Finally, how do Lamont’s policy prescriptions differ from those of the departing governor Malloy, approval rating 21 percent, which is 21 percent lower than that of President Donald Trump at 42 percent?